﻿ Cavalieri Hotel St. Julian's. JIMAT di Agoda.com! Ada soalan mengenai Cavalieri Hotel? Terletak di tengah-tengah Paceville, Cavalieri Hotel merupakan tempat yang sesuai untuk meneroka St. Julian's. Hanya sejauh 21 KM, hotel 4-bintang ini boleh diakses dengan mudah dari lapangan terbang. Dengan lokasi yang mudah, penginapan ini memberikan akses mudah ke tempat yang anda perlu lawati di bandar. Di Cavalieri Hotel, segala usaha dilakukan untuk membuatkan tetamu berasa selesa. Oleh yang demikian, penginapan ini menyediakan perkhidmatan dan kemudahan yang terbaik. Pilihan kemudahan kelas atasan seperti meja depan 24 jam, Wi-Fi di tempat awam, khidmat bilik, pengangkutan lapangan terbang, penjagaan kanak-kanak boleh dinikmati di hotel. Masuklah ke salah satu dari 258 bilik tetamu kami dan tenangkan hati anda dengan pelbagai kemudahan seperti televisyen skrin rata, ruang tamu asing, internet wayarles (percuma), bilik larangan merokok, penyaman udara yang boleh didapati di beberapa bilik terpilih. Hotel ini menawarkan pelbagai kemudahan rekreasi yang sangat baik, termasuk pusat kecergasan, sauna, kolam renang terbuka, kolam renang tertutup, rumah urut. Cavalieri Hotel merupakan tempat yang ideal bagi penginapan pelancong yang mencari keindahan, keselesaan dan kemudahan di St. Julian's. 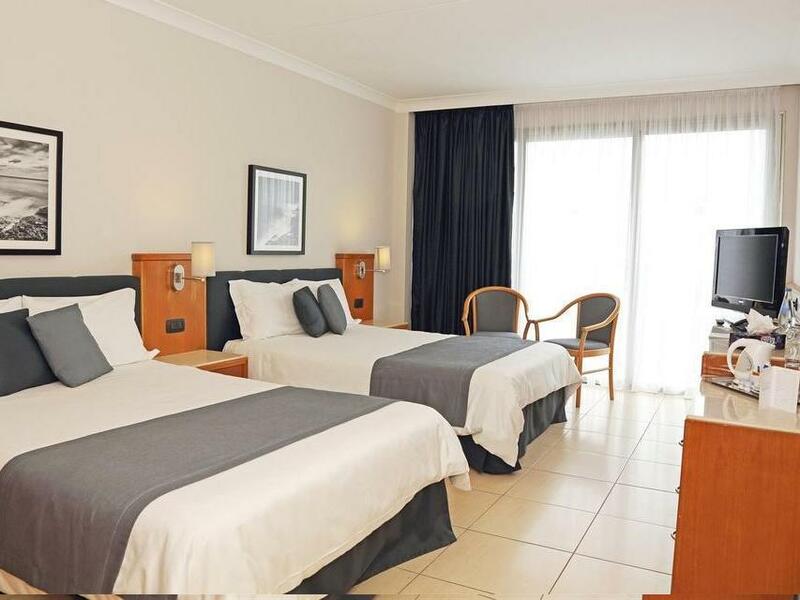 Situated in an excellent location, beautiful view if facing sea view, the rooms are decent and breakfast is good. Hotel has good facilities. 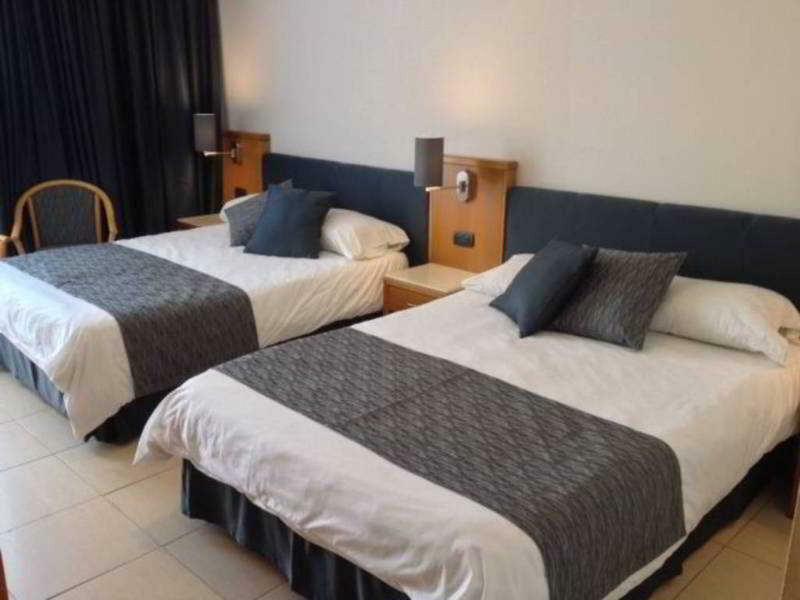 Had a really pleasant stay, with easy access to Paceville if you're looking for a night out. The only drawback I would say is the size of the pools available, as they are much smaller than they look, and not really feasible for what I would call for a swim. we stayed 3 nights and our room was large but old. Bathroom was old, cracked tiles, toilet wouldn't flush unless you held the button for 1 minute non stop, the bed was saggy and the blankets old. The balcony though was fabulous and we had a wonderful view. Within walking distance to great restaurants and clubs, the staff were busy so they weren't smiling but were getting things done. Spa/massage complex was oddly organised. I tried to book ahead to get massaged but they wanted to do it on the spot, when i asked for later they said busy busy. when i tried to walk away they then told me they could do it later on. Also the gym is privately owned so guests can use it but only 3 at a time. this made it hard as you had to wait for others to leave the room. Overall not value for money, i wouldn't stay here again. 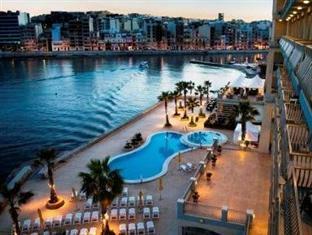 Enjoyable stay, the rooms were comfortable and the view of Spinola Bay was nice. Generally we enjoyed our stay, however the breakfast was quite average and the employee working behind the bar was rude and unhelpful. We asked for a few items like cutlery and a wine cooler for the room and he made us feel as if we were inconveniencing him. This was in the form of eye-rolling and making big sighs of annoyance etc. This happened on a couple of occasions, when my husband or I purchased a bottle of wine or asked for some information. We didn't complain but perhaps the hotel needs to have a word with their bar staff on customer service. Poolområde med havet intill , alla rum med havsutsikt och en toppenfrukost! Bra läge i St julians som har massor med trevliga restauranger och barer. Bra förbindelser och nära till busshållsplats. Sono stata una notte pensando di aver fatto l'affare di un 5 stelle al prezzo di un 3 * invece la stanza valeva il prezzo pagato. Non c'é wifi nelle camere e nella hall ci sono difficoltà di connessione. Televisione anni 90. Bagno con la vasca. Al check out mi hanno chiesto di pagare la camera... Ma avevo già pagato in anticipo!!!... senza parole! 보통은 예약확인서 없이도 여권보여주면 체크틴인 되는데 여간 보여달라햐서 체크인 하는데 시간이 오래 걸렸어요. 위치는 힐튼 근처이고 잠깐 묶기 좋아요.가격이 워낙싸고 위치 괜찮으니 ㅎㅎㅎㅎ 화장실하고는 낡았어여. Ξενοδοχειο πανω στη θαλασσα με εκπληκτικη θεα στα 100 μετρα εβρισκες οτι ηθελες καφε εστιατορια αγορα κτλ. Σε κοντινη αποσταση ειχε τα καζινο απο 300 εως 1000μετρα ακτινα (3τον αριθμο) ησυχο με πολλες παροχες θερμαινομενη πισινα σαουνα μασαζ αν ηθελες και πλουσιο πρωινο μπουφε ολα ηταν εκπληκτικα θα ξαναπηγαιναμε!!!!!!!!!!!! !